The InSight Series™ is the first scalable, drop-in replacement lithium battery on the market today. The innovative design makes InSight batteries easy to install. Plus, they use the connections you’re already accustomed to when connecting in parallel. Tell us about RELiON Battery. Based in Charlotte, NC, RELiON Battery is a global innovator and leading manufacturer of lithium iron phosphate batteries. Our focus is in deep cycle, motive power and stationary applications that traditionally use lead-acid batteries. Our products are designed and built to the highest standards and are perfect for power-hungry applications. Our team of engineers and product experts have deep history in the battery industry, with 110+ years of battery experience combined. 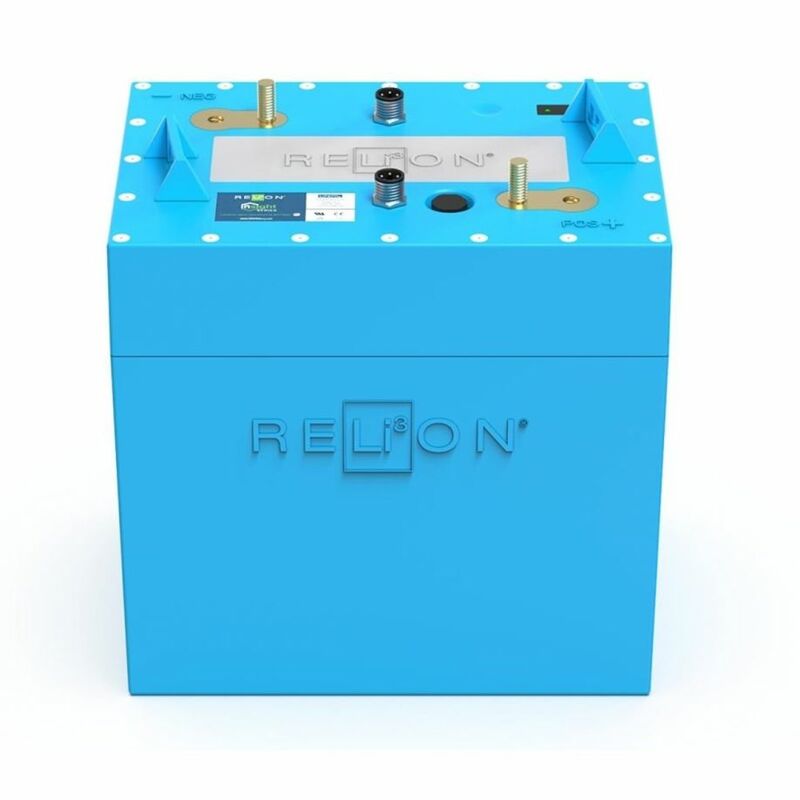 RELiON is leading the worldwide adoption from lead-acid to lithium batteries - because they are the best energy storage option in terms of safety, reliability and lifespan. You recently released a new series of Batteries, tell us about the Insight Series™ Batteries. RELiON’s InSight Series™ batteries are a game-changing product line that is user-friendly without compromise. The InSight Series™ is the first scalable, drop-in replacement lithium battery on the market today. The innovative design makes InSight batteries easy to install. Plus, they use the connections you’re already accustomed to when connecting in parallel. What make the Insight Series™ batteries different than other lithium batteries? Other lithium batteries can be large and heavy to lift, or small and light, but require some combination of fuses or breakers and an external BMS to safely connect multiple batteries in parallel to meet the system capacity requirements. With InSight, you simply connect the batteries in parallel and they are good to go. The two main components that make this possible are the SuperSmart BMS, located in each battery, and Intelligent Cooling. The BMS provides BullsEye Balancing™ which means accurate balancing within a battery and between batteries connected in parallel. The Intelligent Cooling is a passive heat management that quickly dissipates heat, allowing the battery to provide high currents and protecting critical components. Can the Insight be used in off-grid and grid-tie applications? Yes. The Insight Series™ batteries perform well in applications where they are discharged and charged daily, or in applications where they are discharged and charged multiple times per day. They also perform well in applications where they are kept on float and only used during a power outage. How can RELiON ensure that these products are safe? Not only does RELiON Battery use Lithium Iron Phosphate, an inherently safe lithium chemistry that produces a fraction of the heat of other lithium chemistries, our battery management system (BMS) offers full protection. How large can the battery banks be? Users can connect up to 128 InSight Series™ batteries in parallel. What about Insight gives you the ability to parallel batteries? The main concern with paralleled strings is that they will eventually get out of balance. However, the inner-battery communication that takes place via the positive and negative cables, allows InSight batteries to become a single system. This enables all the batteries to have local data as well as global data to optimize their response during a discharge or during a recharge. State your case as to why you believe these lithium batteries are better than lead-acid batteries for renewable energy storage? The lead-acid battery (LAB) is a great technology that has served our energy storage needs for well over 160 years. It has not changed very much since Gaston Plante commercialized the first LAB in 1860. The design fundamentally remains the same and therefore still faces the same limitations. At some point the positive active material will disintegrate, and the negative plate will be nearly impossible to charge. LABs are also greatly affected by temperature excursions, are only 70-80% efficient, must be kept at a high SOC to avoid sulfating, and generally don’t do very well with high discharge and charge currents. The aforementioned limitations are exactly the conditions that LABs will have to cope with in the renewable energy (RE) world. The ideal battery for the RE world is one that has a high efficiency, can work well with high discharge and charge currents, will not suffer any damage due to low SOC conditions, is not affected too much by temperature excursions and that is exactly what lithium batteries bring to the table. If you combine the advantages of lithium chemistry with what is likely one of the most sophisticated battery management systems in the industry, you will arrive at the Insight Series™. Our position with the Insight Series™ batteries is that they provide the technical solution to the economic problem that everyone has been looking for in the RE world.